My story started in 1998, newly married and wanting to have a baby. I was quick to throw away the birth control pills and start trying for the family I had always wanted. Little did I know that doctors would not be concerned with me not having a period. So much in fact that they wanted me to wait a year before they would even see me for infertility. So, I waited. In January of 1999 I was diagnosed with Polycystic Ovarian Syndrome (PCOS). 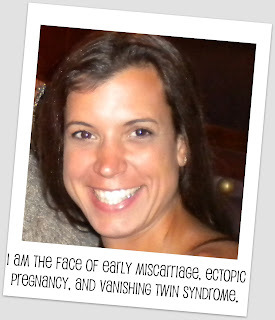 I started to research and found that infertility was going to become my new middle name. When I moved to Rock Hill I found an amazing doctor that did everything he could for me. After several surgeries and all the drugs and treatments…nothing happened. After my divorce, I thought my dreams of children were over. I had a beautiful son in September of 2003. A complete surprise…the doctor chalked it up to a miracle, but stated the last surgery had done the trick. He did tell me that the period after having a child I would be my most fertile…so if we wanted another to go for it. So, when my son turned a year old, my fiancé and I started to try for one more. In April of 2005, the stick finally turned blue. While I was so excited, I knew that something was wrong. I was almost 2 weeks late before that pregnancy test showed a positive result. Everyone told me I was cry and to just sit back and enjoy the miracle. 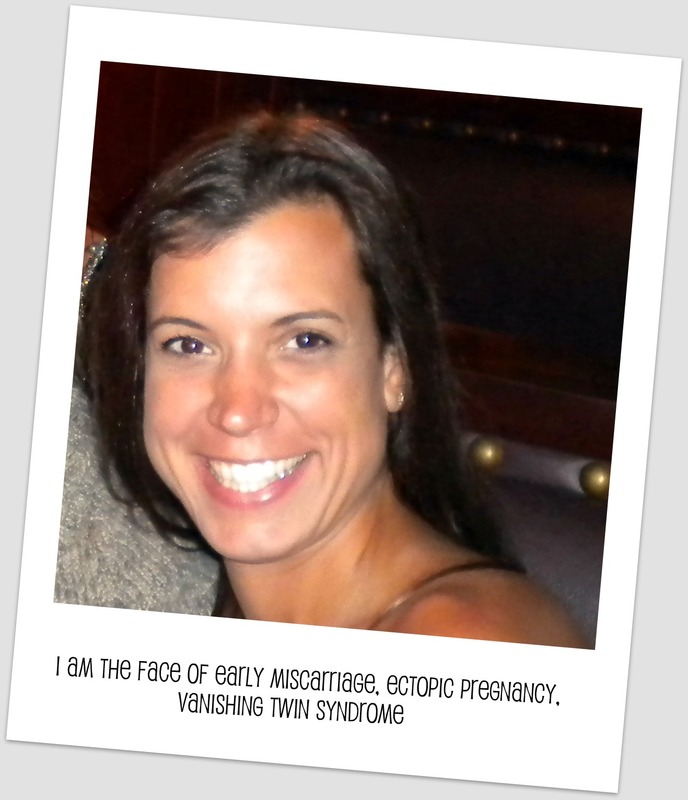 At 8 weeks pregnant, I started to feel this intense pain on my side. I remember that I was in so much pain, that I had to be carried to the car to be driven to the hospital. I knew what was happening, I was losing this baby…I just prayed I wasn’t losing my tube as well. Once in the hospital I was pretty out of it. It was confirmed to be a tubal pregnancy and they were going to try and do all they could to save my tube. I was devastated. Two days later I was home and in shock. It took the wind out of me and all I wanted to do was to try again. We did, and have several more miscarriages, all between 6-9 weeks. After the loses I had an IUD put in…I was done. I wanted nothing to do with pregnancy or pregnant women. I was blessed to have the child I had and chose to just let it go. That was until my Nan died. I came back from New Jersey in January of 2007 and talked to my husband about trying one more time. No drugs, no temping, to shots…if it happened it happened, if not, it wasn’t meant to be. I went in and had the IUD taken out. The very next day I started my period. 4 weeks later and right before my birthday, I had a positive pregnancy test! We were thrilled. Could it have been possible for this to have really worked on the first try? After calling my OB, he had me come in for HCG testing…my numbers were more than doubling. Right after that I went in for my first ultrasound. The nice thing is that the doctors treated me with kid gloves so I was able to see my babies early…right before 6 weeks. There were two fluttering hearts. TWINS! I was so excited! I have twin brothers and cousins and knew the family history, and we were thrilled. At 8 weeks, they were still in there and doing well. Right at 10 weeks I woke up one morning feeling lousy. My stomach hurt and I was spotting a tad, and that was enough to send me into hysterics. I called the doctor and he had me come right in. I was holding my breath during the ultrasound, I knew what I was looking for, and so when I saw only one little heart flickering, I knew I had lost one of my precious babies. He called it Vanishing Twin Syndrome. It was a common occurrence and said that there was a good change of carrying the remaining baby to term. This was nature’s way of getting rid of a fetus that wasn’t healthy. Sure enough, my little girl Kaitlyn was born healthy and happy. I still mourn the loss of her twin almost every day. I look at her and know what should have been but wasn’t. I think about the other babies that were lost and have a moment, but I the same breathe I am thankful for the two amazing children that I do have. I loved reading your story. It is filled with so much hope. Don't get me wrong, your story is sad. There were so many losses, it took many years to have a baby. But it is also so uplifting to read. There is a sad part to it and a happy part to it.